The 2017 Napa Valley Cabernet Sauvignon crop was up slightly from 2016 despite two heat waves. The result is that the volume of bulk from 2015 and 2016 is greater than last year at this time. Demand is consistent to last year, however, buyers are holding out in hopes of decreasing prices for the volume needed. Buyers have been reluctant to accept historically high asking prices due to several years of escalating cost of goods. Smaller lots of perceived higher quality wines, or sub-appellation wines, are still moving within Napa Valley at higher prices, but not as quickly or at the same prices as two years ago. Recent sales for 2015 and 2016 wines where sellers have reduced asking prices to get deals done have been in the $30 to $36 range and the $44 to $55 for the best quality lots. So far this year, we have seen very few wines that have been listed with smoke taint, and the guaiacol levels seem to be much lower than in wines from 2008. Call your Turrentine broker for an up to date market report on options for 2016 wines as well as 2017 wines that are continuing to be listed for sale. The market in Sonoma County is much easier to describe. Supply of Cabernet Sauvignon for sale in bulk is slightly up due to a 2017 crop that was slightly up from 2016, and demand seems to be steady. Recent sales have been in the $25 to $30 range. In both Napa Valley and Sonoma County, the push back from buyers on price continues to increase. The 2017 crop in Lake and Mendocino Counties was up over last year and there has been 2016 bulk Cabernet Sauvignon actively for sale ever since the 2016 crush ended. We now have 2016 and 2017 vintage wines actively for sale, and demand is lower than a few years ago as some buyers were priced out and supply is more readily available from the Central Coast and Lodi. Despite fewer sales, prices have been above $15 per gallon which has sellers holding out hope for the market to retain that price. Meanwhile, buyers are opting to wait and/or buy wines from other regions at lower prices. Recent sales have been in the $18 to $21 range with buyers focusing on smaller volumes to add to a blend rather than opportunistic volumes. The large volume buyers are holding firm to prices in the $12 to $14 range or are purchasing wines from other regions. The volume of Paso Robles and Monterey County Cabernet Sauvignon bulk wines offered for sale is growing due to a combination of newly bearing acres that are increasing the overall supply and competition from growing supply in the North Coast and Lodi. Demand had been consistent with last year but buyers are now seeing more supply options available in Paso Robles leading to a more moderate approach for 2016 and 2017 vintage needs. Recent sales on wine that are meeting the current quality standards of buyers and that need a Central Coast AVA have been in the $11 to $14 per gallon range. Recent sales of wines that are of a lower quality tier purchased for a California Appellation wine have been in the $8 to $10 per gallon range. Despite newly bearing acres, the 2017 harvest in Lodi was similar to 2016. Supply and demand of bulk wine actively for sale is about the same as last year. There was an increase in crop size in the interior regions from District 12 south. Quality on the new acres coming into bearing on the east side of District 12 can be more competitive with the quality parameters of color and phenolics. Recent sales have been in the $6.50 to $8 range. There is little demand for volume at the value-end and there are good options for California supply at prices similar to the increased prices from Chile. The 2017 crop in Washington was lower than the massive 2016, but still way up from 2015 due to new acres coming into production. There is considerable volume of 2015, 2016, and 2017 wines available. There are plenty of options for Washington Cabernet Sauvignon from various regions to satisfy both small lot high-end buyers and volume buyers. 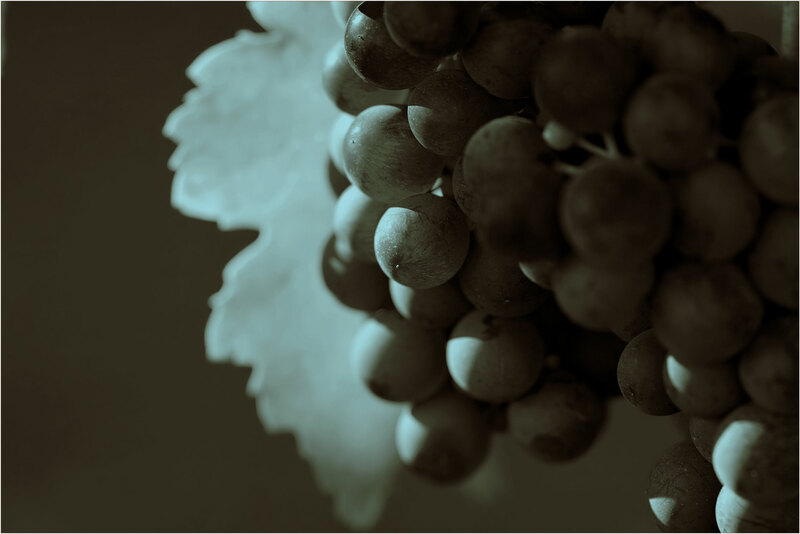 In summary for Cabernet Sauvignon, there are great opportunities and options for supply from many regions to establish new brands and to grow existing brands. The market for Chardonnay the last few years is like the aforementioned C.S. Lewis quote, “Isn’t it funny how day by day nothing changes, but when you look back, everything is different…” There has been little planting and slowly growing sales have brought the market into balance. The Chardonnay crop in 2017 was down from 2016 in almost every region of California except for the Central Coast, and bulk supplies have generally mirrored the 2017 crop size. The change is in demand which is up from last year at this time. The demand trend for both volume and value buyers of bulk wine shifted in the third quarter of last year and has remained steady since that time. Prices are also steady to up in almost every region. Recent sales of Napa Valley wines have been in the $20 to $22 per gallon range and we have more demand than wine available. Demand for Sonoma County wines from Russian River and Sonoma Coast is still strong and recent sales have been in the $20 to $24 per gallon range. With increased volumes of Monterey and other Central Coast Chardonnay available, we have seen increased activity and recent sales are in the $10 to $12 per gallon range for 2017 Monterey County lots. There seem to be more opportunities for wines in bulk out of Monterey from 2017 than there are for 2018 grapes. Recent sales for interior wines have been in the $6 to $8 per gallon range. Buyers are looking for greater volumes to make sure they have inventory but are still feeling somewhat comfortable with current inventories. Since the overall supply is not growing from new acres, buyers should be paying close attention to their current and future sourcing of Chardonnay. The overall crop of 2017 Pinot Noir was slightly up compared to 2016, mainly due to the increase in supply from the interior of California. The crop in Sonoma County and the Central Coast was about the same as the previous year. The Sonoma County crop would most likely have been above 2016 if not for the two heat waves. There are changes to the bulk market though. There are increased gallons actively for sale from the key regions, and we have also seen softer demand in Sonoma County and Monterey County. The decrease in demand might have more to do with bulk prices staying at relatively high levels rather than the increase in supply. Recent sales of Russian River and Sonoma Coast wines have been in the $26 to $30 per gallon range. Monterey County 2017 wines have recently sold in the $15 to $18 per gallon range and 2016 wines from all Central Coast AVAs have been in the $11 to $14 range. Demand is stronger for Clarksburg and Lodi as it seems buyers are sourcing there for the balance of quality and price for a California Appellation label. Buyers previously sourced larger volumes from the coastal regions but were priced out. Recent sales have been in the $7 to $8 per gallon range. In summary, the overall supply is not in excess. A potential challenge for the luxury-end of the market and for all wineries could be the cost of goods in a competitive market to sell casegoods and raise bottle price. Along with the options discussed above, there are also great opportunities for premium red blenders to add color and intensity to blends and various styles of Rosé. Give our Turrentine brokers a call to discuss the opportunities on the bulk market to buy or sell. We are available to help you grow, succeed and navigate the turbulent rivers of change.